From a basket filled with fish to the three wise men, help your child learn the popular stories from the Bible as well as key concepts like counting, colours and shapes. Packed with bright, lively pictures and large, simple text - this is an ideal book to nourish your toddler's curiosity while you read about the Bible together. 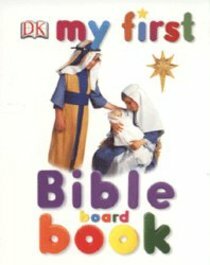 About "My First Bible Board Book"